Home security camera systems continue to be more affordable, more efficient, and more effective. They also serve to give you peace of mind which allows you to feel more at ease when at home. This may be one of the reasons why home security cameras are in such high demand. If you’re still confused about investing in a home security camera system, our guide showing the best security cameras for 2019 can be very helpful. Securing your family and home is one of the most important things you can do as a house owner. Crime statistics show that a house is robbed every 13 seconds, which is a dangerous phenomenon. However, installing home security cameras can actually reduce this problem greatly. An FBI report shows that 1 in 3 homes without home security cameras are robbed versus the 1 in 250 homes that have home security cameras. It is simply illogical to put your home and family at risk when you can marginally reduce the chances of robbery by installing home security cameras. Since home security cameras are relatively cheap, it is a low-cost measure when compared to the high cost of compromising safety. 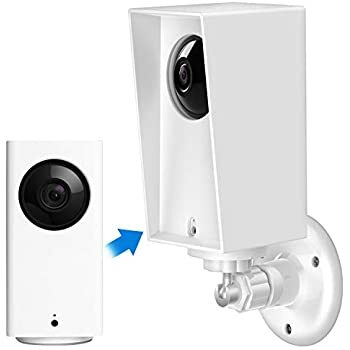 You can get an amazing home security camera like Wyse Pan Cam, which ranks at the top of Best Security Cameras for 2019, for around $30. Home security cameras are actually the best as they allow you to keep an eye on your home, even if you are away from it. While you’re at work, out having fun, or even on vacation, keeping a check on your home is now very easy. Home security cameras like Blink and Cloud Cam allow users to stream videos wherever you may be. This can give house owners peace of mind, as you can simply check on your house from any remote location. Even if you aren’t able to constantly check for video streaming, something may be happening within your house while you are away from the feed. In such cases, it is helpful if your home security cameras have alerts. Most state-of-the-art home security cameras, like Blink and Cloud Cam, have the ability to detect movement within the home and send you an alert. They have options to put cameras on alert mode when the house is empty, so any abnormal activity is detected at once. Most home security cameras act as a psychological protection against robbery. However, even if they don’t, state-of-the-art security cameras like Cloud Cam and YI Home Camera actually come with cloud storage that can keep an account of all the activity taking place. This also makes insurance claims easier to get as crimes are recorded and stored. Make sure you get good quality home security cameras. These will allow for clear imaging that can help the police. Cloud Cam comes with a 1080P picture quality that can make it easier to capture faces and details. Protection at night is also important, which is why most of the best home security cameras have night vision imaging. With today’s security cameras, setting up a camera or a complete home security system has never been easier. Watch in real time or view a clip from the cloud for instant playback. With our review of the best security cameras for 2019, it’s our job to make your choice an easier one. Wyze Cam Pan works with Alexa. Control Wyze Cam Pan with your voice by saying, “Alexa, show me the Family Room” to view a live stream view of your room from your camera. 110° second rotation speed, 360° horizontal range, 93° vertical range for 360° coverage in under three seconds. Pan Scan feature can automatically scan your room with up to four waypoints. Has 1080P full HD video with night vision using 6 IR LEDs. Can distinguish 18 steps of gray, to give you clear images of up to thirty feet away. Works with 2.4GHz Wi-Fi networks, does not support 5GHz Wi-Fi. You can set up IFTTT applets to automate the Wyze Cam Pan. 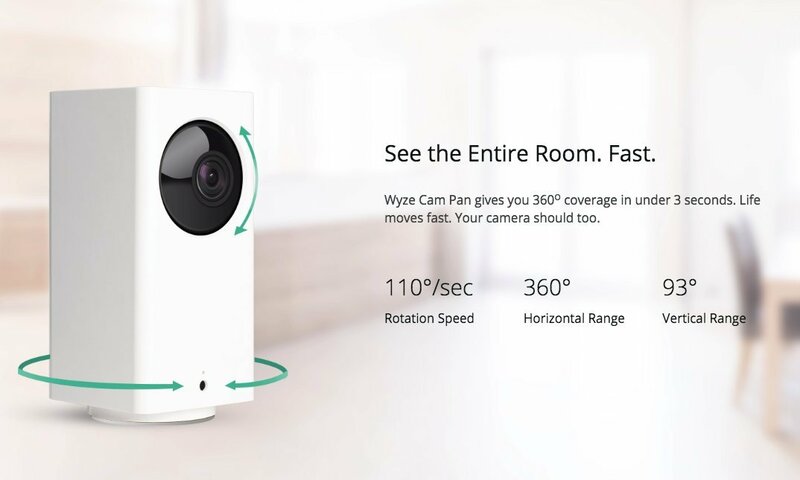 Wyze Cam Pan has 360° coverage in less than three seconds. Excellent clarity day or night. With 6 infrared LEDs, Wyze Cam Pan’s enhanced night vision distinguishes eighteen steps of gray and provides clear images up to thirty feet away. See and record movement as it happens in full high definition 1080p. Includes free cloud subscription. Any movement will instantly send an alert to your phone from Cloud Cam. View activity or watch video clips with the Cloud Cam app. With Night Vision you will be able to see movement at night. Have full control to turn the night vision Led sensors on or off with the Cloud Cam App. All you have to do is ask Alexa to show your live feed on any of your Amazon devices, including Fire TV, Fire Tablet, Echo Show, or Echo Spot. More advanced alerts, detection, and features. watch live video or your video clips from a computer at cloudcam.amazon.com. Amazon Cloud Cam can help keep your home safe. A notification will be set to your phone when it detects activity. Your home can be monitored any time in full HD 1080p, and you can see activity as it is taking place. 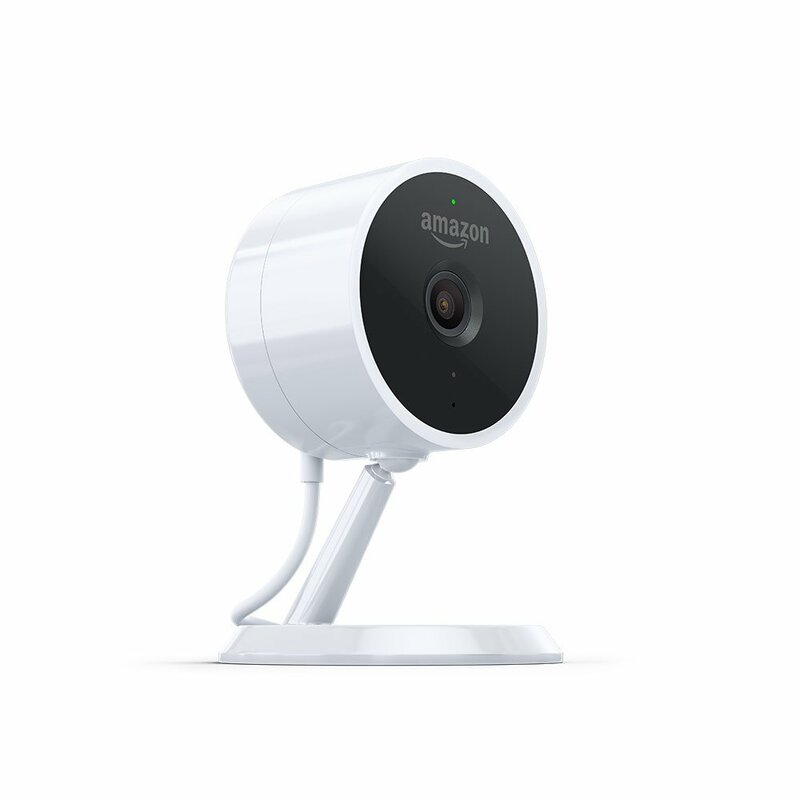 By using the Cloud Cam or at cloudcam.amazon.com, you can view activity on your home at anytime. The built-in mic and speaker makes it so easy to connect to your family. Cloud Cam is easy to set up. Simply place it on a flat surface or mount it on a wall with the included mounting kit. Subscription required for person detection and zone settings. Being one of the best home security cameras for 2018 in our lineup, this camera is highly recommended. With free basic cloud subscription and 1080P it’s a great deal. 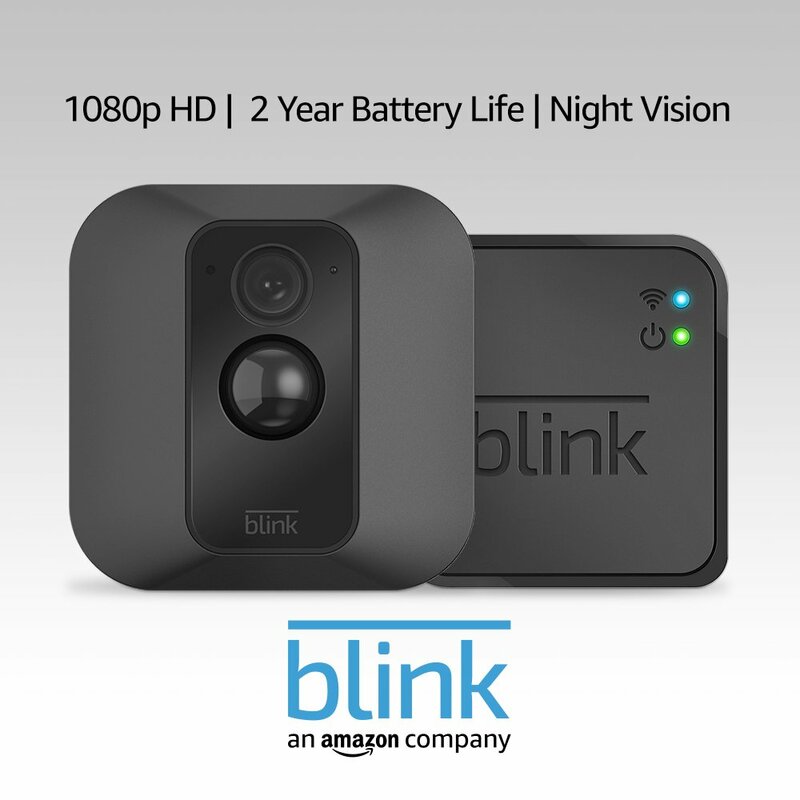 This wireless home camera comes with 2-year battery life, powered by 2 included AA Lithium batteries. Easily control your wireless cameras with Android and iOS apps. Works with Amazon Alexa-enabled devices. Motion will start the recording of a short video. On demand video streaming is easily accessible through the Blink app. Amazon Echo, Echo Dot, and Amazon Tap compatible. Up to 10 cameras using only one Blink Sync Module. No monthly fees or service contract required. Two year battery life. 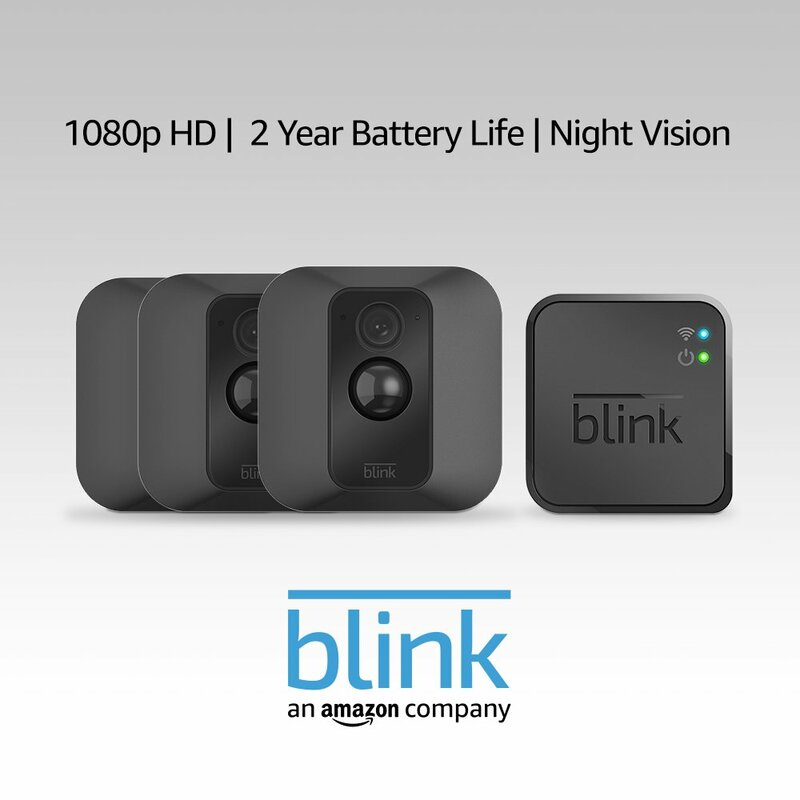 You can put your wireless Blink camera anywhere. You can start with a small system and expand up to 10 cameras using only one Blink Sync Module. Built-in motion sensor, when motion is detected the alarm is triggered. Fully integrated with Amazon Alexa-enabled devices including Amazon Echo, Echo Dot, and Amazon Tap. Wi-Fi connection. View up to 4 live camera feeds on one screen. Stream to your phone in real time, also activity alerts. You can remotely control your YI home camera, and monitor your house in real time. The camera lens is all glass, with F/2.0 aperture and HD resolution (1280×720). Wide angle (111°) lens with and 4x zoom. Night vision with 940nm infrared sensor effectively picks up everything, even in full darkness. Streaming video hesitates at times. The video quality is excellent, glass lens, night vision, great pricing, this system is hard to beat. Power up the camera, download the Funlux app, open an account, and add the device. You can view 720p HD live stream in day and night. Up to 65ft (20m) night vision. IP65 Weatherproof for Indoor or Outdoor Use. Intelligent recording technology and with pre-installed 500 GB hard drive allow the NVR (Network Video Recorder) to record longer, up to 180 days for 4 cameras. Receive push notifications on your mobile devices when motion is detected. Motion detection areas can be customized. The price for an entire system that includes 4 cameras is exceptional. The 60 day return policy is a great option, you’ll have plenty of time to test it out.